Here is 1/2 of the Fedex Firesale Posters. These were supposed to be sold at our Los Angeles Let's Talk About Feelings show but were not delivered in time (shout out to Fedex) so here ya go. 4 Colors with the brown color showing as a gold. Order ships in a poster tube. 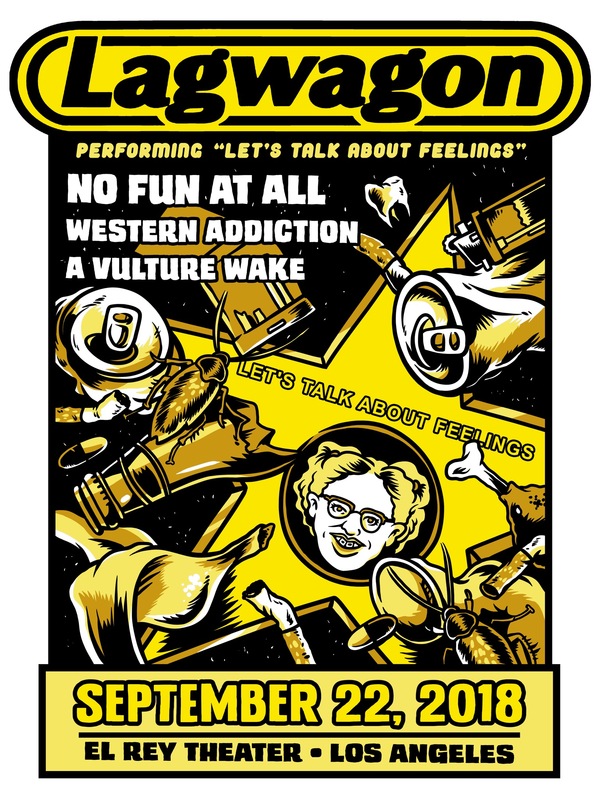 © 2019 Lagwagon. Powered by Limited Run.